Do you recognize the name of our Top Bloggers? 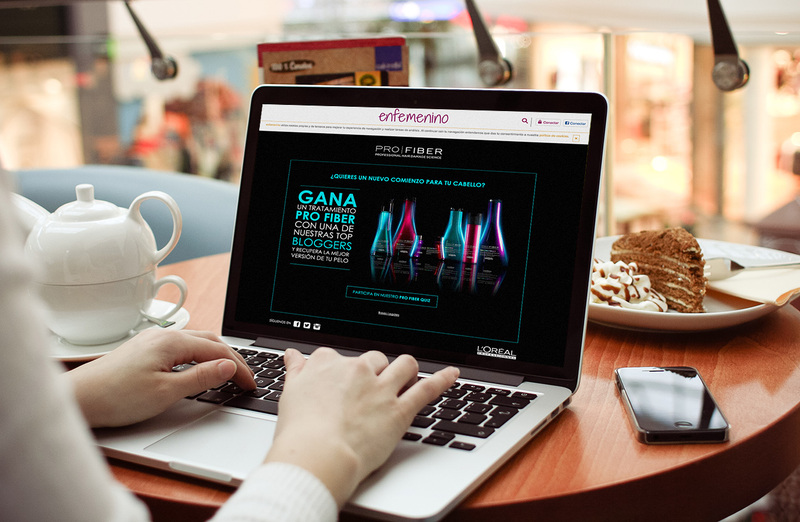 This game for L’Oreal Pro Fiber, was placed in a iframe within page enfemenino.com. The microsite proposed a contest: drag & drop the picture of the hair of five top bloggers to recognize who they are. The winner received a Pro Fiber hair treatment with her favorite blogger. In the UX/UI design I wanted to create an easy-to-use game, 100% responsive and easy-to-develop because of a tight budget.